Stephen passed away at home in his bed on January 17th after a long illness. He was 78 years old. His heart has gone to God. His light is left here with us. Thank you for your blessings and love and friendship. We will continue to provide the website and all of the content for free. We are unsure of whether Ondrea will want to continue to create content without Stephen, but we will add it here if that should ever come about. 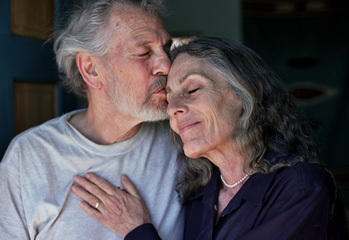 Having not gone out to teach in some time so as to deepen our inner work and heal our outer bodies, after almost thirty-five years of offering Conscious Living/Conscious Dying workshops around the country our friends at Gizmo have generously manifested this opportunity to hook up with you all through the magic of the internet. Gizmo Productions is a professional web development company located in Taos, New Mexico. The partners that make up Gizmo Productions are Max Moulton, Destin Moulton, and Kevyn Gilbert. The team has been together for ten years developing online products. Help keep Levine Talks free! Stephen and Ondrea live a secluded lifestyle and their health conditions don't allow them to travel with their teachings. In 2008, Kevyn began working with the Levines producing videos to be distributed to their many followers. After getting to know the Levines and learning about their spiritual teachings, Kevyn suggested the Levine Talks website as a new way to interact with their audience. Our goal is to continue sharing the teachings of Stephen and Ondrea with the world. 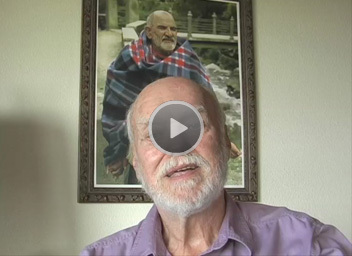 The Levines and Ram Dass have been close friends for years. In this video he speaks about their friendship and teachings.